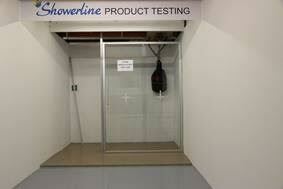 Showerline Product Test Failure – Toughened Safety Glass Broken – Force used: 45 weighted bag in motion with sharp object attached to bag. Glass shattered on 10th attempt after a sharp object was attached. 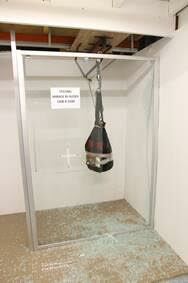 Glass did not break with force of bag alone.